On the ground, Honda is well known for building safe cars, all of which definitely have seatbelts. And while its line of private aircrafts also have seatbelts, they had always been relegated to regular seats…until now. 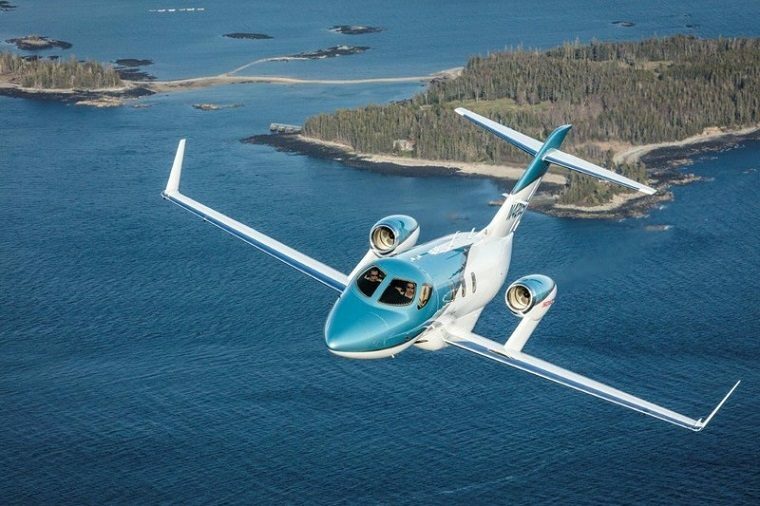 The new HondaJet Elite has a 1,437 nautical mile range, and that means you’re probably going to need to take a pit stop while midair (especially as you’ll presumably be sipping champagne throughout the entire trip). So just in case you are worried about your safety while you do that, Honda has installed a toilet seatbelt, ensuring you don’t get tossed around and put into an embarrassing situation. The jet can also climb up to 43,000 feet and cruise at a top speed of 486 mph, and while we assume the pilot wouldn’t be taking sharp banked turns while someone uses the lavatory, it’s apparently something Honda clients are concerned about. The HondaJet Elite also comes with a number of nifty toys, like a “Bongiovi Audio System,” a fancy autopilot system, takeoff and landing distance management, performance management software and some safety devices in place to prevent anything from going wrong should your drunken passengers decide it’s time to do a barrel roll. There’s also a fully-equipped galley with a coffee machine, comfortable leather seats and some interesting engineering designed to attenuate noise from the engines—which are significantly more efficient than on the regular HondaJet. And how much does it cost? Honda hasn’t said yet, but the regular HondaJet goes for about $4.65 million—in other words, enough that you could probably justify installing a flat-screen TV and a second Bon Jovi audio system in the bathroom while you’re at it.